"Amid the history buffs and parents with young children wandering along the crushed shell paths of Virginia's restored colonial city, some noticeably angrier and more politically minded tourists can often be found. They stand in the crowd listening closely as the costumed actors relive dramatic moments in the founding of our country. They clap loudly when an actor portraying Patrick Henry delivers his 'Give me liberty or give me death' speech. They cheer and hoot when Gen. George Washington surveys the troops behind the original 18th-century courthouse. And they shout out about the tyranny of our current government during scenes depicting the nation's struggle for freedom from Britain." Sometimes, the activists appear surprised when the Founding Fathers don't always provide the "give 'em hell" response they seem to be looking for. When a tourist asked George Washington a question about what should be done to those colonists who remain loyal to the tyrannical British king, Washington interjected: "I hope that we're all loyal, sir" -- a reminder that Washington, far from being an early agitator against the throne, was among those who sought to avoid revolution until the very end. When another audience member asked the general to reflect on the role of prayer and religion in politics, he said: "Prayers, sir, are a man's private concern. They are not a matter of public interest. And nor should they be. There is nothing so personal as a man's relationship with his creator." I did my PhD at William and Mary and have been back to Williamsburg several times since with groups of teachers. 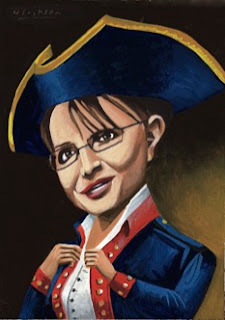 I wonder if the influx of Tea-Partiers will change the place? A strange and sad story from the National Archives broke today: National Archives Discovers Date Change on Lincoln Record. Washington, DC…Archivist of the United States David S. Ferriero announced today that Thomas Lowry, a long-time Lincoln researcher from Woodbridge, VA, confessed on January 12, 2011, to altering an Abraham Lincoln Presidential pardon that is part of the permanent records of the U.S. National Archives. The pardon was for Patrick Murphy, a Civil War soldier in the Union Army who was court-martialed for desertion. I think that NARA is handling this potential scandal exactly right by getting it all out into the open and making it a teachable moment. 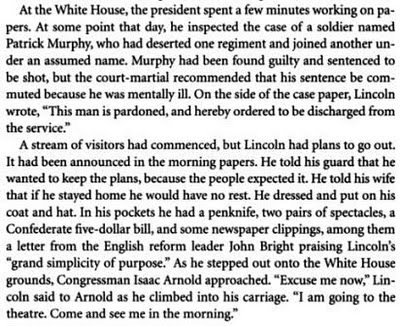 Over at Civil War Memory (where I became aware of this story) in the comments section Kevin Levin wonders how many subsequent historians have used this falsified document in their description of Lincoln's last days. With Google Book Search we can begin to answer the question. Lowry published his research based on the faked document in a 1999 book Don’t Shoot That Boy: Abraham Lincoln and Military Justice. In Google Books I did a search for lincoln + pardon + "patrick murphy" restricted from 1999 to 2011. 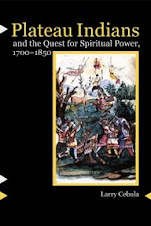 It is a wonderful piece of historical writing and it is a shame (and no fault of Shenk) that it is not true. Edward Steers makes similar use of the story in his 2005 book Blood on the Moon: The Assassination of Abraham Lincoln. "Murphy's case travelled all the way from California through the tangled military bureaucracy to reach Lincoln's desk on April 14," Steers tells us. 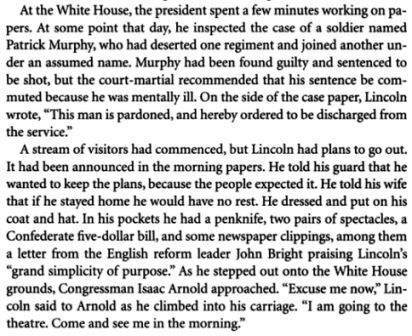 "Lincoln studied the file and picking up his pen wrote, 'This man is pardoned and hereby discharged from service. A. Lincoln April 14 1865.' Patrick Murphy would live." This search through Google Books is not definitive--due to copyright most recent books are available only in snippets and sections from the service and others are not available at all. Probably other recent books use the story as well. The sad thing is that now this story--doomed president granting life to a condemned soldier, only to be himself assassinated hours later--will never go away. It is in print and online, and there is no mechanism for recalling or correcting the thousands of copies of the above books. Though training and peer review should keep it out of future academic biographies, other people will find the story and repeat it in History Day presentations and seminar papers and popular biographies. Long after the disgrace of Thomas Lowry is forgotten, his rewriting of our history will endure. Here is a great new resource for local history: Spokane Public Library - Northwest Room Digital Collections. "The Northwest Room of Spokane Public Library is pleased to introduce a digital collections page of photographs selected from collections in the Northwest Room. These collections emphasize the most frequently requested subjects in the Northwest Room – the homes, buildings, streets and activities in and around Spokane." Remains of the Glover/Pioneer Block after the fire of 1889. 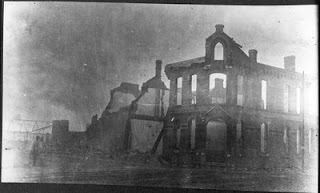 The first set of pictures are delightful, from scenes of the devastating 1889 fire to early street images to intriguing homes (anyone know where this one is?). It is a shame the site is not more interactive because these are wonderful photographs and could easily become nodes of online discussion about Spokane history. Many have only partial information with them-the dates are unknown, the locations have been forgotten, etc. If there were a discussion area with each photo, patrons could probably help fill in a lot of the missing information. The Spokane Public Library is doing a real service to its public by making these photographs so easily accessible. I look forward to watching them add to the collection. Of course if you are the impatient type you can just go to the Northwest Room of the Spokane Public Library, where they have a vast collection of primary resources for Spokane History. Here is a story from KXLY: Grassroots Campaign Launched To Save The MAC. Have you contacted your legislators yet? Have you contacted your legislators about the MAC? If you visit this blog you know that Washington governor Christine Gregoire has proposed closing the Northwest Museum of Arts & Culture to help close the budget deficit. And you have seen the list of legislators and their contact information. Have you contacted your representatives and asked them to save the MAC? 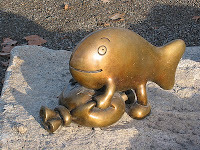 Sculpture on the MAC grounds. A few emails could really make the difference here. I wrote to everyone on the list and about half responded--and not with some mass email but with personalized responses. And most were positive, promising to fight for the MAC. Democracy works, if you make the effort. The MAC has already laid off 40% of its staff, it has done its part. The MAC attracts over 100,000 visitors annually including nearly 4,000 K‐12 students. The MAC is an important contributor to the region’s economy. The MAC is the only independent state agency east of the Cascades and eastern Washington's premiere cultural institution.